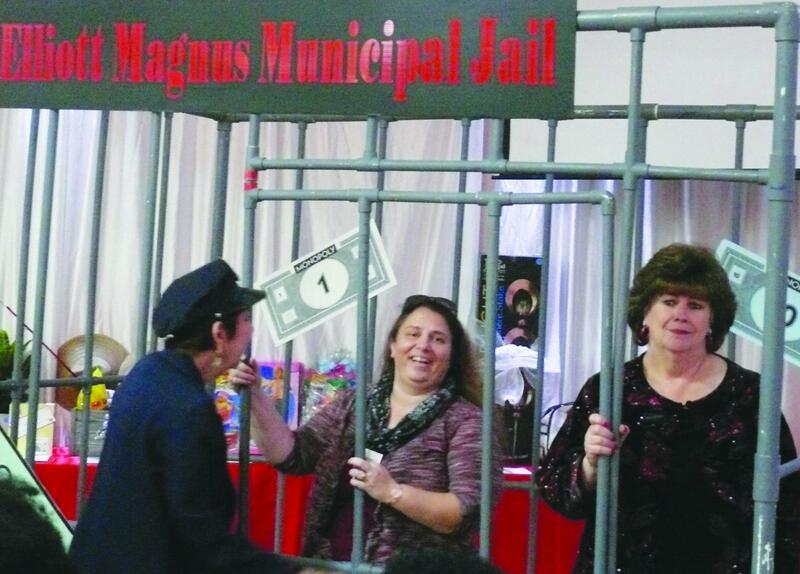 Fans of the board game Monopoly had the opportunity to fundraise for the volunteer center and play the game like they have never seen it before during the 5th Annual Monopoly Mania located at the Fandango City Palace. Tickets were only $35 per person or $200 for a table of 6, on March 2. The event included dinner which was served around 6 p.m., and popcorn, dessert, live music, silent auction items, a raffle, and the main attraction which was a live Monopoly game. Brenda Ratliff was the coordinator of Monopoly Mania, and she explained that she came up with the idea to have this event after her friend, who runs an organization called HandsOn Central California in Fresno, invited her to a monopoly event were she enjoyed herself. After that, she decided to come up with the same event in Bakersfield. “I came up with new ideas, like serving dinner because they didn’t serve dinner, and the dinner is from Coconut Joe’s, and that is already included with the ticket they bought,” stated Ratliff. Ratliff added that she wanted to make the event more affordable because many other prizes for today’s events are $75 or $100 or even more, and she wanted the guests at the event to enjoy themselves at a really affordable price. She said that since it was first done, the event has had such an amazing success that they continue to have it, and it is also one of their major fundraiser for the volunteer center. Ratliff explained that over 196 tickets were sold and that proceeds are going to the volunteer center. At the event, there was a life-sized jail were participants needed to be taken if they landed on the go to jail spot. Monopoly Mania had jailers walking around the tables looking around for players that needed to be taken to jail for a little bit. All the playing tables had bankers as well, but some bankers were left at empty tables because some guests didn’t make it to the event. Laura Wright was one of the bankers who was left without any players. Wright explained that because she and other bankers didn’t have any players they had to sit on any table and play among themselves for a while until it was time to clean up. She explained that she and the coordinator are friends and she volunteered at the event. “We and other bankers here know Brenda from church and we attend church every Sunday, and me and other people from church wanted to help so we volunteered,” expressed Wright. “We are extra volunteers today because the tables were sold, but the people did not come. So we are just sitting here playing among us and eating popcorn,” she concluded. 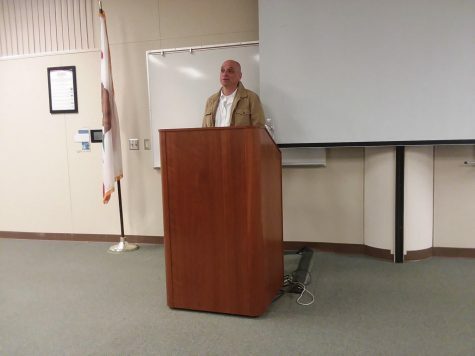 Wright added that some of the volunteers of the event came from Valley Bible Fellowship and others from the Kern County Teen Challenge, an organization that helps teens recover from drug and alcohol abuse. Most of the volunteers from team challenge had the duty of serving the food and drinks to the guests and also checking to see if something was needed on a table. 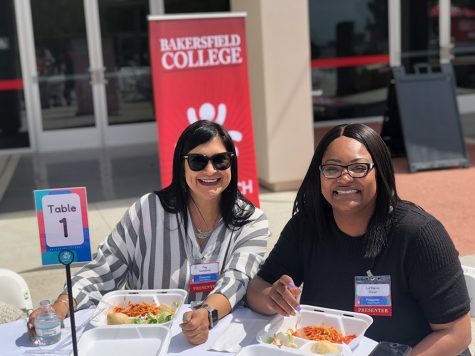 Some of the volunteers from Valley Bible Fellowship had the same duties as the members of the team challenge, but other, just like Wright, were bankers at the event. Wright said that this was the third year in a row that she has volunteered for Monopoly Mania. Nancy Garcia was also another banker who was left of without any players and therefore she played with other fellow bankers such as Wright. This was barely her second time volunteering for the event, and just like Wright, Garcia was close friends with the coordinator of the event, and they know each other from the church. Garcia further explained that she likes to help the church with almost every event they have throughout the year, and she also helps the volunteer center with any event they might have, just like Monopoly Mania.